This blog describes how to clear views cache while inserting, updating and deleting a node in Drupal 7. If we want to improve site performance, then views caching is one of the options. For example, you have views which display list of records. It will update occasionally. Then we can render views data from cache rather than server if we set cache for views. 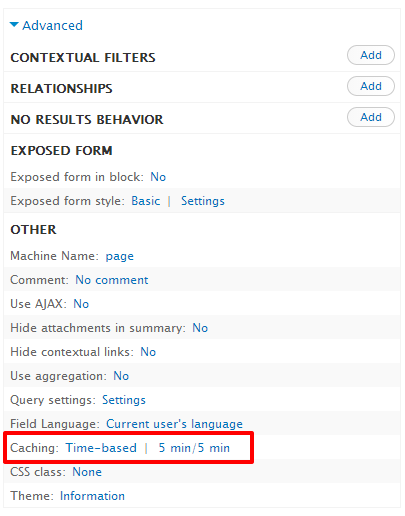 We can set views cache at its settings page. Suppose you have cached views for 5 mins. Then it didn't display updated data until 5 mins even if new node is added to that views. It displays updated data only after 5 mins because the views is cached for 5 mins. In that situation, the user can't view new data in cached views. So we need to clear views cache when add , update and delete a node. So only we can see new data in views and also data is rendered from cache. You can see the performance of views page will be increased and you can see changes in your views. Now I've hope you know how to clear views cache when insert, update and delete a node in Drupal 7.